Last night I had an epiphany. I spent all afternoon yesterday at the church. (Now that we live forty minutes away from our church, I go with Scott on Wednesdays so we don’t have two cars there.) I brainstormed a few ideas for Advent and worked on some content for my new Facebook group (which, by the way, you should totally join!). A little before 6 pm I walked up a few flights of stairs (and thought how I really needed to exercise more) and bounced into the room where about twenty women of all ages (college through senior adults) are doing my friend Katie Orr‘s study, Everyday Peace. I asked their teacher if it would be okay for me to say a little something and she said I could. So, in all my bouncy Teri Lynne-ness, I told them how excited I was for them to be doing that study and how precious Katie and her heart for women in the Word is to me. I shared that I had told her they were doing the study and how it had encouraged her to know that. Before I left, I prayed for them and thanked them again for welcoming me and my family to the First Baptist family. You’re thinking, “Okay, TL, that’s great. But what about that epiphany?” Well, I’m getting there … stay with me. I write about contentment a lot. I mean, A LOT. I’ve written at least fifty posts on this topic in the past seven years. That’s getting really close to averaging once a month. It’s been said we write what we know. But in this case, nothing could be farther from the truth. I struggle hard with contentment (and with comparison and competition … they all work together, I’ve learned). Maybe you do too? 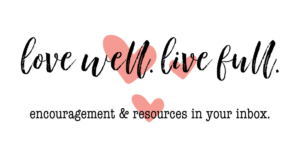 If so, today’s post is for you! Paul is writing to the church he loves so much in Philippi and thanking them for their generosity toward him. But after he thanks them, he tells them something about himself. And in the telling, he gives us some important truths about contentment. Contentment is learned. Paul said he had learned to be content. It didn’t come naturally to him … and it won’t usually come naturally to us. Our flesh will always want more, better. But we can learn just as Paul did. Learning contentment takes time. Here’s where I’ve had the hardest time. For years I’ve wanted God to make me content. Do you see the difference there? I didn’t really want to learn contentment … I didn’t want to go through the making do with a little and a lot part. I just wanted God to change my heart instantly so I didn’t have to wrestle through the seasons of abundance and need. 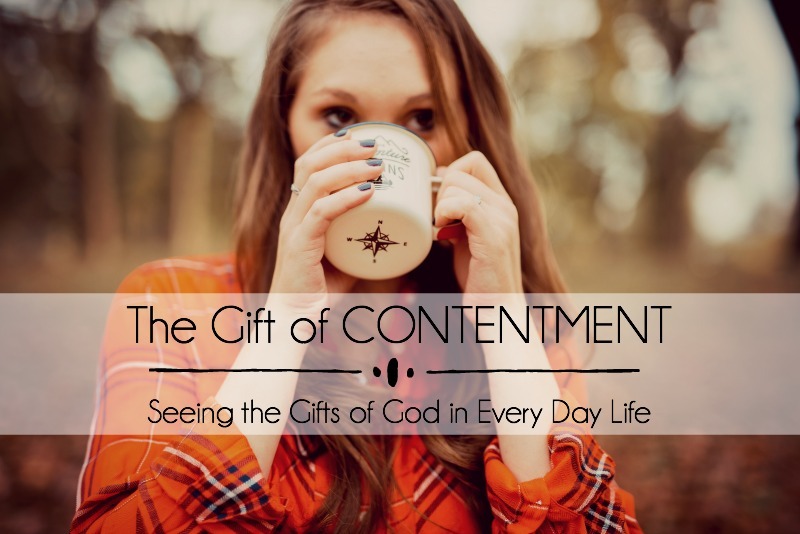 But learning contentment is a huge part of the sanctification process. And it will take time — in fact, I’m going to go out on a limb here and say it will take our whole lives. Contentment is about dependence not circumstance. This is where my epiphany comes back into the conversation. See, we think of Philippians 4:13 as a stand alone verse, a mantra for doing. 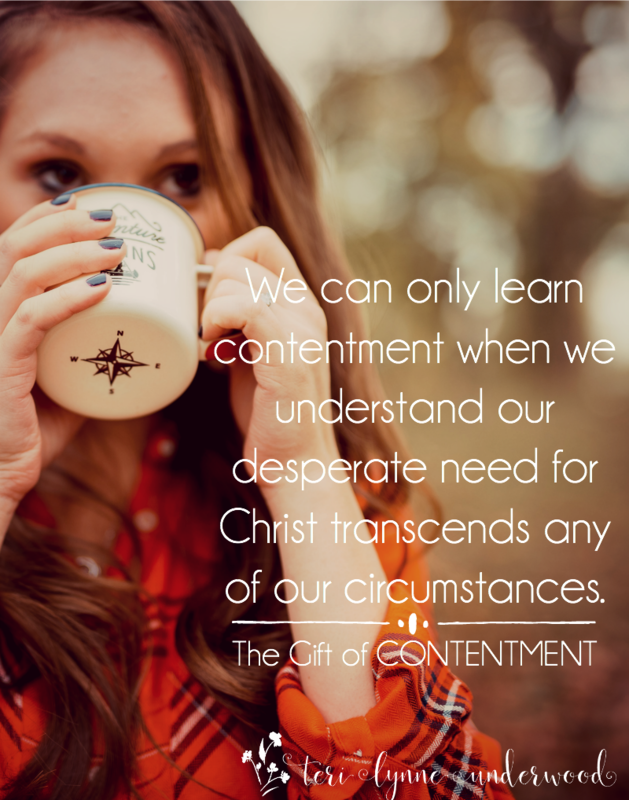 But the truth is, this verse is Paul’s great revelation, his own epiphany — we can only learn contentment when we understand our desperate need for Christ transcends any of our circumstances. 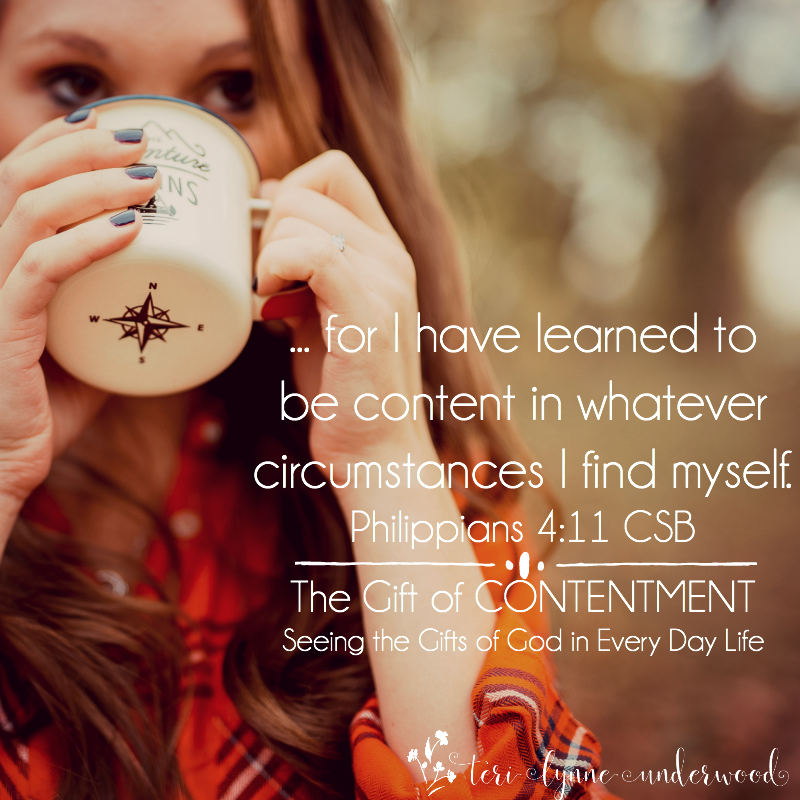 Here’s my challenge to you — ask God to teach you to learn contentment. Maybe you’ve struggled with comparison or competition. Maybe you feel like you’re not smart enough or godly enough or quiet enough or outgoing enough or whatever enough. Or maybe your struggle is more internal — you need to do it all, to be the best, to be perfect. And maybe your struggle is something else entirely. It really doesn’t matter. Because the truth is the same for all of us — contentment can only be found in Christ. Lord, it’s the worst to know we ought to be content but know just as strongly that we aren’t. Will you speak peace into our hearts on this matter? Will you help us see that contentment is learned … and the biggest part is about relying on you. Help us see your hand in our lives, to know you are at work in all things for our good and for your glory. Give us courage to lay down our pursuit of accomplishment and accolades and instead wear your mantle of contentment and peace. In Jesus’ name, Amen. You see, for years (YEARS!!! ), I’ve been trying to find contentment by conforming myself to some imaginary idea of what I thought I was supposed to be. I’ve compared myself to others and competed for affection, attention, and affirmation. But last night, as we drove home in the dark, I told Scott I’d never felt more myself than I did in that little upstairs room at First Baptist Church in Florence, AL. In that moment, full of all the energy and enthusiasm I have for women and for the Word, I was leaning into the person God made me. I wasn’t trying to fill a spot or make myself smaller or bigger. I was just me. And it was the sweetest peace I’ve ever known. That’s contentment, y’all. And I want to learn more and more about it! … our experience will always feel like it is enough. Our insight will always seem accurate because we simply cannot know what we don’t know. 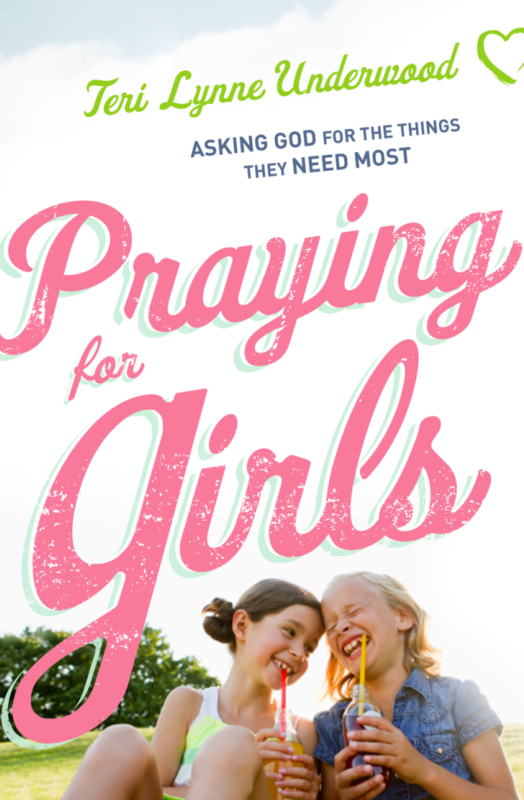 A fool’s confidence in her own perspective is why she doesn’t receive instruction—from God or from other people. 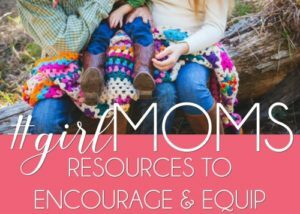 She doesn’t receive instruction because she doesn’t believe she needs it. She’s not intentionally rejecting insight. She’s not intentionally embracing ignorance. She just thinks she’s fine. She’s satisfied with her own mind.